Gardening is a passion for many but it is not very easy. 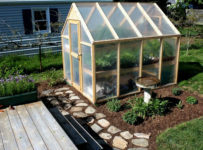 Gardening involves taking complete care of your plants, starting from buying them from proper places and maintaining their quality throughout growth. It has to be a holistic development when it comes to growing fresh produce in your garden. You need to make sure that the environment around is healthy too so that it impacts your plants’ development in a positive way. 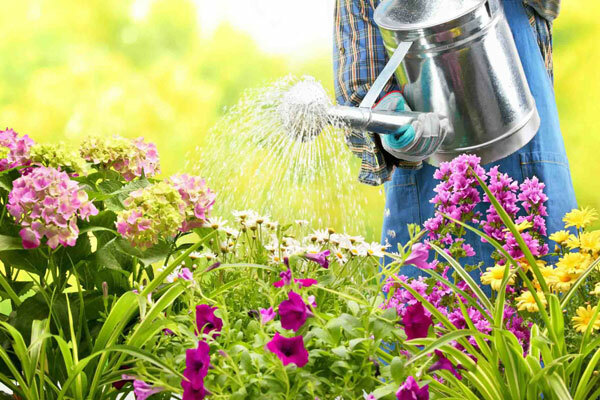 Follow these tips will ensure that your garden is healthy and thriving. The soil requirements of plants vary according to their types and the qualities of each soil. Clay has a high water retention capacity while sandy soil needs some organic additions to be made so that it is able to retain water. Loam is a combination of clay, silt and sand which gives it the ideal texture in case of most plants. For mulch almost any organic material can be used, starting from straw, hay, grass, bark to sawdust or paper. However it is advisable that you use roughly powdered coffee beans and pine needles for plants that prefer an acidic soil condition like blueberries, strawberries, raspberries, rhododendrons and azaleas. Do not purchase plants from just anywhere. They might look healthy and fresh but may not last in the long run. Always choose to buy from an established plant nursery so that there is very less room for error. Avoid buying from nurseries that keep unhealthy, diseased plants. 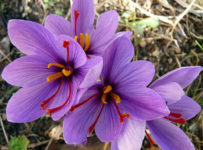 Make sure to buy those plants that will thrive in the conditions that your garden will provide. There are many beautiful plants available but all of them need not be planted in your garden. Space is a very important factor. Understand that amount of space that you have in your garden and choose plants accordingly. Do not overcrowd. Once you plant them, these plants are going to spread out as they grow. Therefore measure out that space and then plant the next ones. Overcrowding deprives your plants of water, nutrients and sunlight, and there is a risk of spreading infectious diseases. When the plants are young, it is important to treat them with the right amount of nutrients, especially during the active growing period. The best way to add the nutrients is by opting for a water soluble fertilizer with the proper amount of the necessary nutrients which can be sprayed over the plants. It is wise to not use chemical based fertilizers because young plants are very delicate and chemicals might cause more harm than good. Instead, go for homegrown options or fully organic ones like tea manure, compost or fish fertilizer. Some plants take longer than others to develop. For this, it is not correct to keep watering them in hope of growing them faster. In fact, there are certain diseases that may affect the plant due to constant water logging around the plant. There are these pathogens which need moisture to grow and mature. Thus, if you keep watering your plants, you create an environment which is perfect for these pathogens to thrive in. So, make sure you water the plants carefully. Part the leaves to water the roots directly and only sprinkle water on the leaves.